PlayerUnknown’s Battlegrounds just got its first big monthly update, making the game significantly more playable because frying pans block bullets now and also blah blah important performance improvements or something. The patch is focused on making the early access game, which has been dinged for instability and frame rate issues, more stable. 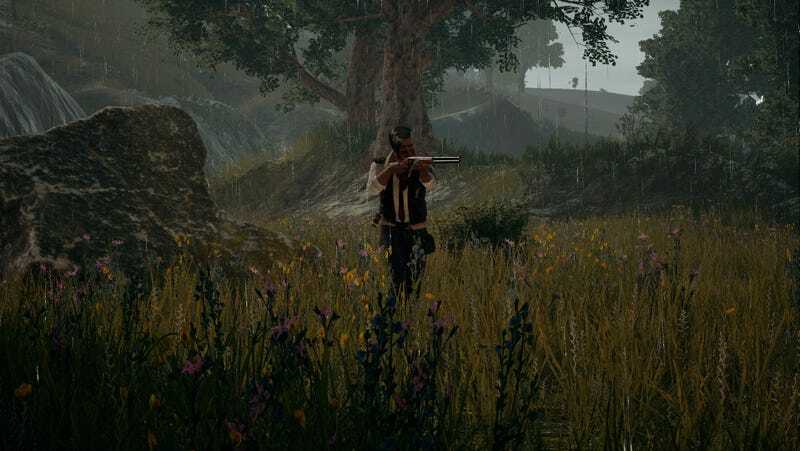 PUBG’s developers added, however, that this patch is only the first of “many” aimed at performance, and this doesn’t mean the game is now magically optimized for all systems. While some players are reporting more consistent frame rates, others are suffering from lower frame rates across the board. Personally, I got a slight boost, but my frame rate definitely isn’t stable yet. I just played a quick match and died due to a nasty frame drop in the middle of a melee scrap. Oh well. The update also adds some fun odds and ends, like a motorcycle with a passenger buggy. Much like its close relative, the car, it’s prone to treating slight inclines like Evel Knievel death ramps. Video courtesy of Sir Lance. The age of guns is over. Welcome to a new era. The update also tweaks the game’s balance in a handful of ways and changes the revive mechanic. Lastly, it fixes “a bug that caused bald characters to have hair,” which sounds less like a bug and more like a medical miracle to me. You can read through the full list of patch notes here.